Central Washington University (CWU) is a public university in Ellensburg, Washington. CWU offers an eight-week program comprised of: ten days of research preparation at Central Washington University, four weeks of research in Beijing and Xian, and two weeks of analysis, writing, and presentation at Central Washington University. 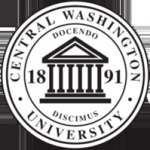 Central Washington University (CWU) is a public university in Ellensburg, Washington, located about 110 miles (180 km) east-southeast of Seattle, Washington. CWU offers a Society and Environment program intended for undergraduates, whose objective is to mentor students through the complete process of designing a research agenda and performing primary research in the social sciences at an international field site. Scholars will also have the opportunity to work with a diverse group of American and Chinese researchers. The eight-week program is comprised of: ten days of research preparation at Central Washington University, four weeks of research in Beijing and Xian, and two weeks of analysis, writing, and presentation at Central Washington University. Students are responsible for their own transportation to and from Ellensburg Washington, for personal miscellaneous expenses, and application/processing fees. Costs of travel to and within China and residential costs at Central Washington University are covered by the sponsoring institutions.